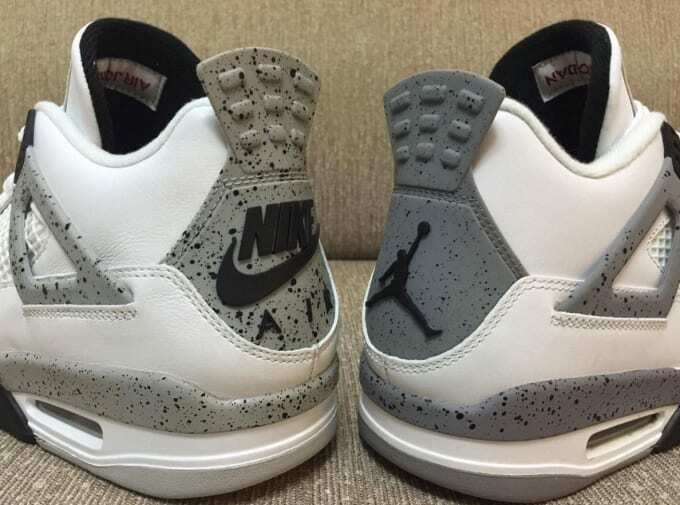 We&apos;ve already seen a few sets of details images of the 2016 "White/Cement" Jordan IVs with "Nike Air" branding, and now we&apos;re getting a better look at how they stack up against the last Retro. These new shots from @us11hustla provide a clear view of the improvements made on the 2016 version. Most notably, the "Cement Grey" shade — which is one of the sneaker&apos;s defining features — is much lighter and closer to the O.G. color than before. 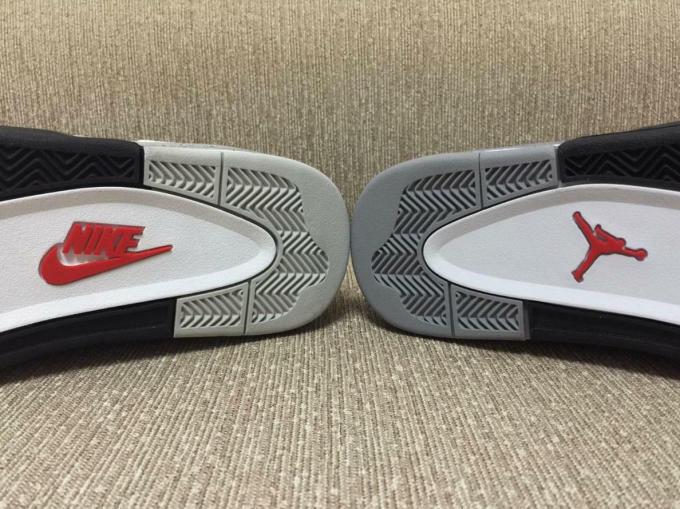 The heel shot pictured above also gives us an idea of the leather quality, which appears to be much softer and more natural than the synthetic materials used on the 2012 Retro. Sure, they&apos;re not perfect, as they&apos;re still missing the angular shape of the 1999 release, but we&apos;ll take what we can get at this point. 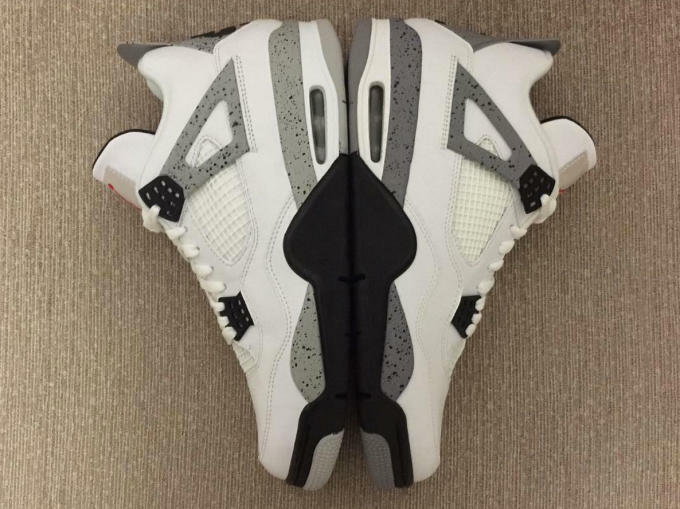 Look out for this highly anticipated Jordan IV to arrive during All-Star Weekend on February 13, 2016 for $220.